When people go online to gamble, there is a lot of risk involved. Players can lose money on bad bets and wrong plays. This is why they want to lower the risk as much as possible. Knowing the game provider for a Bitcoin casino can set a player’s mind at ease. The best Bitcoin game providers ensure that their games are both fair to the gambler and are easy to play. To make things simple for new players, here are some of the best Bitcoin game providers out there. If an online gambler sees their logo on a game, they can be sure that it will deliver in terms of quality and fairness. Slot games are admittedly one of the most popular features in many casinos. People like the fact that all they need to do is to pull the lever to get the action going. The trouble is that it may get boring after one too many games. Fortunately, creative game developers can change that. NetEnt, Endorphina, and Betsoft are three of the top slot game developers out there. 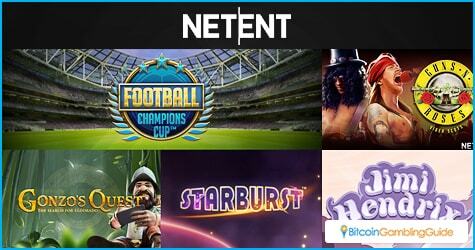 NetEnt has been around since the dawn of online gaming. A Swedish company launched in 1996, it has weathered the storms of the industry and has come out of it stronger than before. They are also to thank for the current popularity of no-download casinos. This is because the company developed the first Java platforms that started the trend and quickly moved on to Flash. NetEnt games are all top-notch, with great graphics and gameplay. 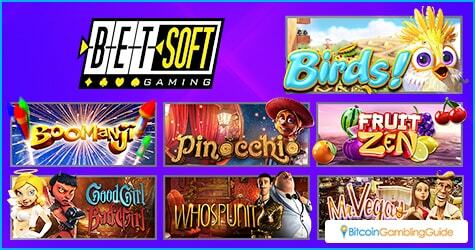 Betsoft is another established name in the gaming industry. Opening its doors in 1999, the company is certified with the Alderney Gambling Control Commission, which adds to the legitimacy of the games it produces. The company is currently best known for releasing a line of 3D cinematic slot games called Slots3. They are a delight to play and are impressive to see in action. Meanwhile, Endorphina is a newcomer to the field, compared to the other two. They have been around for only a couple of years, but they have made their mark in the industry with their innovative games and stable releases. A gambler can be sure that they are playing a well-honed product when they play an Endorphina slot game. Bitcoin gaming is more than slot games, though. There are table games like roulette and poker. For these, gamblers will need to look at stamps of approval from the two big giants Microgaming and Softswiss. Microgaming has been a field leader in the world of online gaming since it started in 1994. It has been consistently voted as one of the best online game providers for over a decade. With more than 600 games in its library, there is a game in their catalogue for everyone. SoftSwiss, on the other hand, was only launched in 2008, but the Austrian company has become just as pervasive as Microgaming. 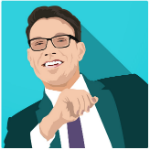 Starting out with online auction platform, the company moved in online gaming in 2010 and has taken major strides in the industry, specifically partnering with smaller companies and licensing their games on their own casino platform. Players looking for games to trust should look around on the site they are playing at to see what companies are providing the games. With a number of leading Bitcoin casinos hosting the games from these developers, Bitcoin gambling enthusiasts are in for a surprise with every wager they make. LimoPlay, for instance, features the provably fair games of SoftSwiss, along with the number of online games produced by NetEnt, Betsoft, and Endorphina, among others. Other casinos like BitStarz, BetChain Casino, and mBit Casino that also run on the SoftSwiss platform are perfect venues to enjoy the said games. BitCasino.io, on the other hand, which is powered by the solutions designed by CoinGaming.io, brings the Microgaming titles closer to the Bitcoin gambling sector through Quickfire. Many other Bitcoin casinos come equipped with the high-quality games from the best Bitcoin game providers in today’s market. The key to ensuring a top-notch gambling experience, then, is to find the right services and bonuses paired with these games.